Contact K-State Research and Extension-Atchison County for information. 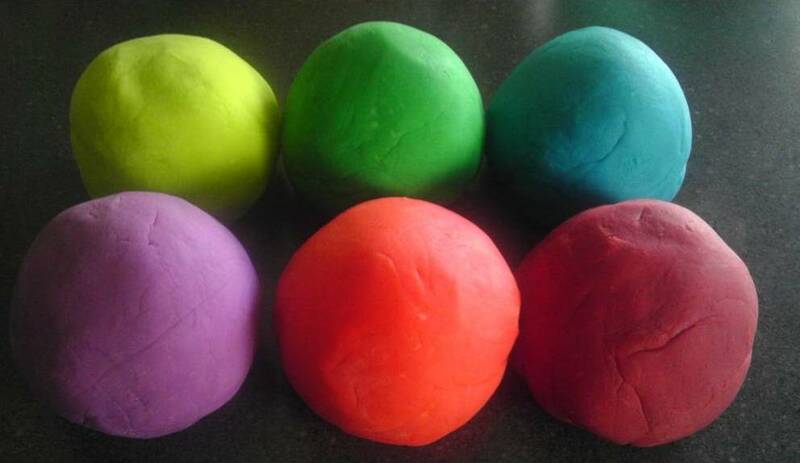 This easy play dough recipe requires no cooking and can be made by kids. Step 2 … Add water (starting with 1/2 cup) food coloring and oil. Mix until ingredients are combined adding more water a little at a time as needed. Step 3 … Knead well. Step 4 … If consistency is too wet add a little plain flour. This is a quick and easy recipe that kids can help make as well as play with. I have changed the ingredients to show 1/2 to 1 cup of water as many have required much more flour to get the right consistency.